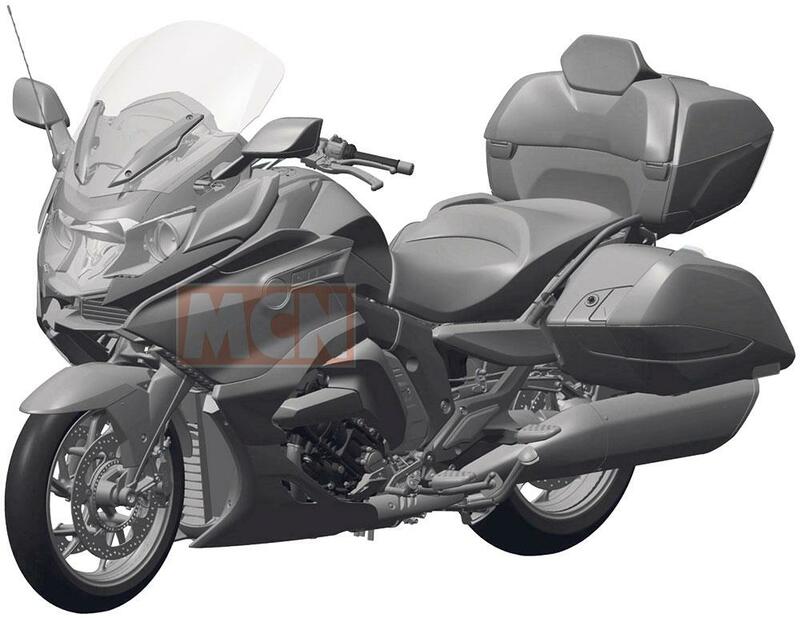 MCN can reveal exactly how BMW’s new K1600 bagger will look after uncovering design images well in advance of the bike’s public debut. 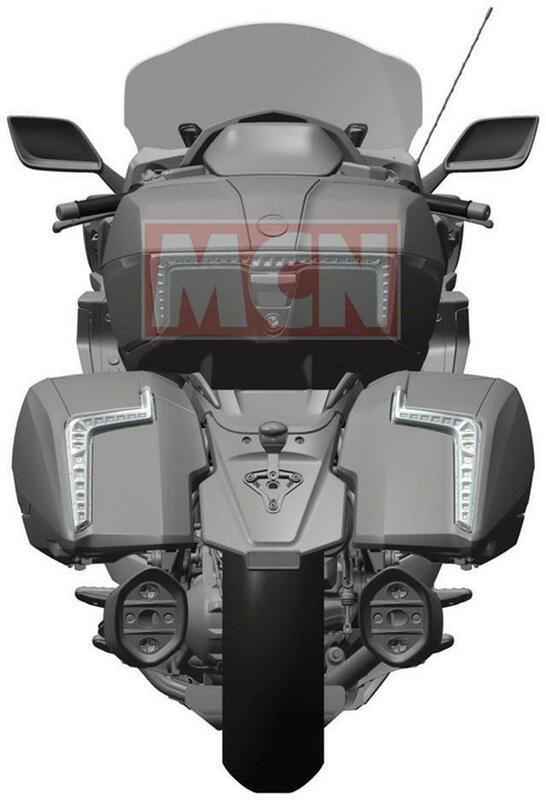 We first caught wind that BMW were building a bagger based on the K1600 nearly two years ago, but despite several appearances in front of our spy-snappers’ lenses, the bike is still yet to be officially shown. 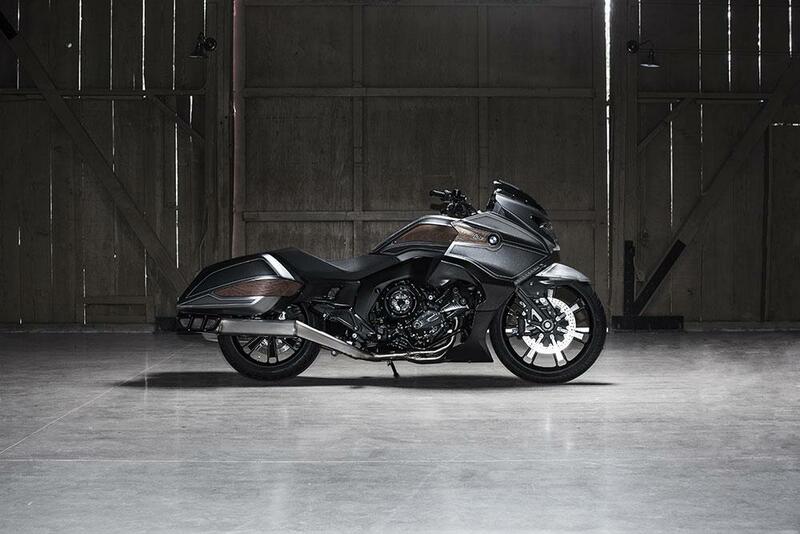 In their biggest admission of intent, BMW previewed this model as a concept last May along with the Concept 101, which shared this bike’s hard panniers and cut-down windscreen. The finished bike is more of a conventional full-dress tourer, but unlike the Euro-style K1600GT and GTL it’s based on, the styling has something of an American flavour. The most obvious changes are at the back, where the conventional tail of the GT and GTL makes way for a redesigned rear end with drooping panniers, a lower pillion seat and long, horizontal exhausts. Meanwhile, the front bears a family resemblance to the other six-cylinder BMWs. Despite that, of all the outer panels only the headlight is carried over. With expensive technology including its adaptive ability to ‘steer’ its light around corners, it makes sense that the lamp is shared among the different models. That light sits in a reshaped nose with extensions either side to deflect air around the bars, with new aerodynamic mirrors and a wide, tall screen – electronically adjustable, of course. The side panels are also new. 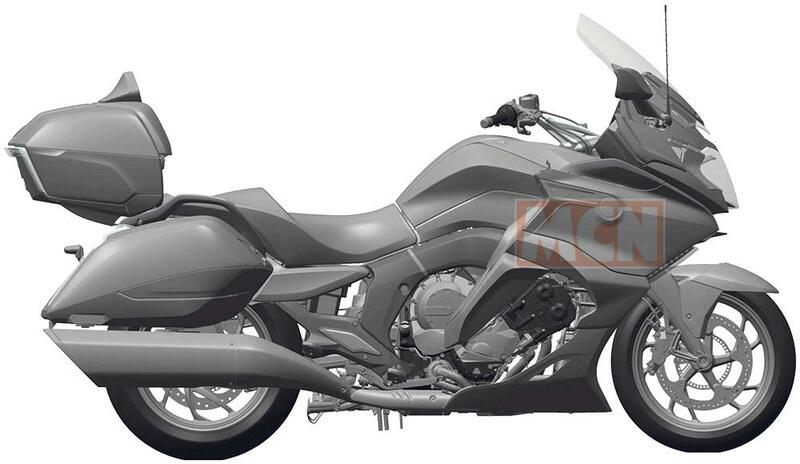 They lack the flat expanses of the K1600GT and GTL’s flanks and have more complex shapes and contours. Below them, there’s more emphasis on the showpiece of an engine – a 160bhp inline-six tour de force – and a longer bellypan. The tank is also redesigned. Some of this new styling was hinted at by the Concept 101, attributed to Roland Sands and revealed at last year’s Villa d’Este event in Italy. However, BMW have sensibly opted not to adopt the concept’s massive front wheel. Mechanically, the bike shares everything with the K1600GT and GTL. The aluminium frame, with its Duolever front suspension and Paralever rear, is unaltered. The view from on board is also much the same, since the instruments are also carried over. The wheels, brakes and electronics are unchanged, giving the new model access to all the same technology as the existing bike. It’s notable that the cover over the left hand side of the transmission is also new. That could be an indication that it’s going to adopt the Gear Shift Assist Pro system that’s already available on some other BMW models. Allowing clutchless shifts both up and down through the gearbox, it’s something that the big tourer would certainly benefit from. The clutch lever and master cylinder also appear to be revised in these images, although the illusion that there are two clutch levers is more likely to be a mistake in the rendering – accidentally showing the lever in both engaged and disengaged positions – than some clever, twin-lever technology. It’s likely that the bike will be revealed in production form later this year and go on sale in early 2017, around three years on from the first spy shots. How does the Glide compare to the Bagger?